Cricket Australia’s senior selection panel has overlooked some big names like Peter Handscomb and Josh Hazlewood as Steve Smith and David Warner make a comeback to their national squad for ICC World Cup 2019. “Steve Smith and David Warner come back into the squad. Both are world class players and it has been pleasing to see them produce some good form in the IPL. Mitchell Starc and Jhye Richardson have both been named subject to fitness. The advice from the CA medical team is they are progressing well and barring any setbacks will be available for selection ahead of our opening match against Afghanistan on June 1,” says Chairman of selectors Trevor Hohns. The announcement of the squad also confirms that the World Cup-bound Australian stars will only be able for the ongoing Indian Premier League till the April end. “The fifteen-player squad for the ICC World Cup will assemble in Brisbane for a training camp at the National Cricket Centre on May 2,” Cricket Australia has confirmed in a release while announcing the squad. 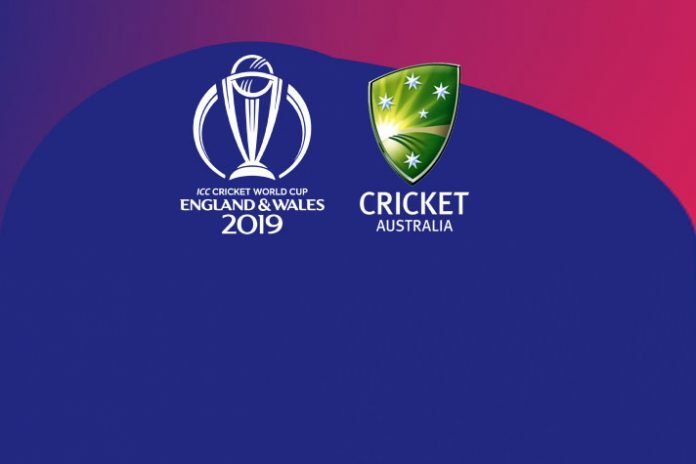 The Australians will open their World Cup title defence against Afghanistan at the Bristol County Ground on June 1, two days from the start of the ICC 2019 World Cup on May 30. Australian Men’s World Cup Squad: Aaron Finch (capt), Usman Khawaja, David Warner, Steve Smith, Shaun Marsh, Glenn Maxwell, Marcus Stoinis, Alex Carey (vc), Pat Cummins (vc), Mitchell Starc, Jhye Richardson, Nathan Coulter-Nile, Jason Behrendorff, Nathan Lyon, Adam Zampa. The team will be led by Aaron Finch while Alex Carey and Pat Cummins have been named his deputies. “We’d like to congratulate the players selected to represent Australia at the upcoming World Cup, it is a huge honour and I know this squad is focused on playing a brand of cricket which can help us in our ambition to win another World Cup title,” said Hohns. “We have been extremely pleased with how the ODI squad has been building over the past six months, including the recent series wins in India and against Pakistan in the UAE Given the depth of talent and competition for spots there were a number of tough calls we had to make to settle on our squad of 15.